Belize doesn't have the same traditions with handicrafts as its neighbouring countries, Mexico and Guatemala. Selections will be limited and rather expensive, though if you are travelling only to Belize you will still find typical Latin American indigenous crafts. 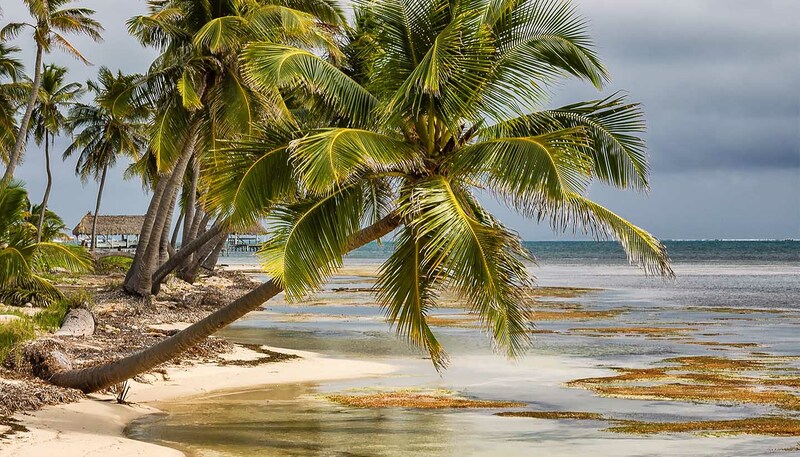 The best handmade crafts and jewellery are found in the Ambergris Caye, sold along the beachfront from various stalls. These stalls are set up in the evenings and become quite busy – pickpockets are about and single women are frequently approached. Further south you can find hand-woven baskets created by Mayan women, as well as mahogany chairs and other carvings. Locals sell traditional Mayan crafts and jewellery at most of the ruins sites, but bear in mind that they will be cheaper and of higher quality just over the border in Guatemala. Probably the most distinctive craft available to buy in Belize are the drums created by the Garifuna. They are one of the few options you have of purchasing something truly Belizean. Be careful, however, taking them out of the country, as you may need to declare animal-skin drums at customs. Standard souvenir fare includes slogan T-shirts and Belikin (the country’s most famous beer) paraphernalia. In the Toledo district in the south, market buses run from Punta Gorda to local villages for market days, where you can see the remaining indigenous people of Belize selling their wares. Dangriga Central Market is good not for souvenir shopping but for food, clothes and soaking up the local vibe. Travellers should be aware of their home country's rules on importing exotic goods. In the UK, for example, there are restrictions on importing tortoiseshell goods and jewellery made from endangered coral. Mon-Sat 0800-1200, 1300-1630 and 1900-2100. Some shops close on Wednesday afternoons. With Belizean culture being as laid back as it is, don't be surprised if many places don't keep to these hours. While Belize could not be considered a major clubbing destination, there is no shortage of bars throughout the country. In Belize City, the main spots tend to be the bars in the top-end hotels, which usually have live bands. There is also a casino here. San Pedro, on Ambergris Caye, has a lively bar scene and a couple of clubs. You’ll also find the odd quite swish beach bar, serving high-quality cocktails. The prices are high in comparison to the rest of Belize and neighbouring countries, but not horrendous. San Ignacio has some excellent music bars. Placencia has a few lovely beachfront bars, and at festival times is extremely lively. Parties at bars in Placencia last through the night, and the quality of the bars is at odds with the tiny, dusty-village vibe of the place. Belize has a slightly dodgy reputation for after-hours activity; take care when leaving bars after 2300, especially in Belize City. Some bars which stay open to the small hours of the morning are out of the towns and can only be reached by car – be aware that many Belizeans will think nothing of driving to and from these bars, regardless of how much they have had to drink, and take extra care on the roads.